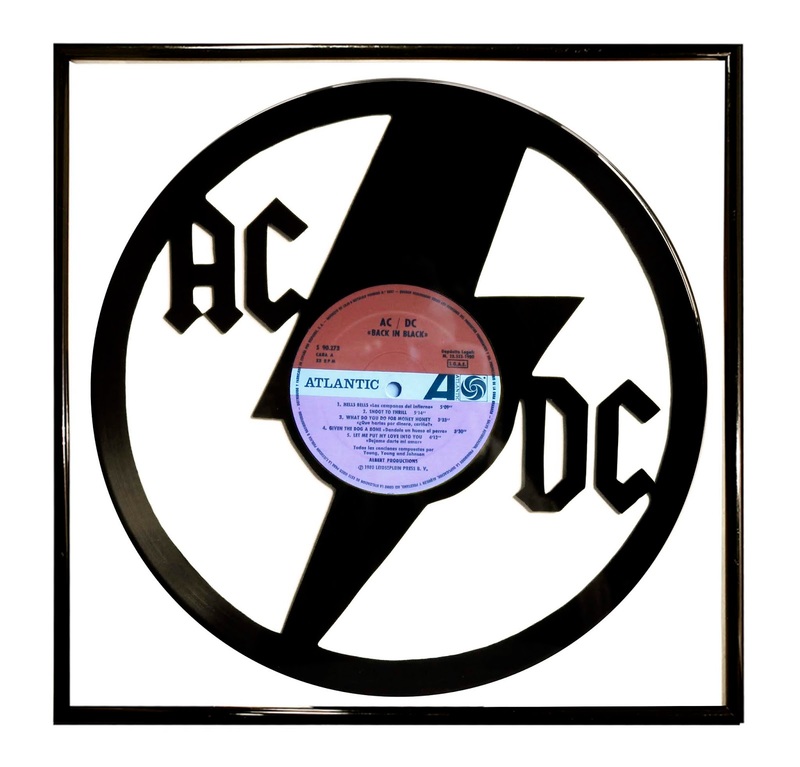 AC/DC electric thunder image it was cut out of a old vinyl record. The art work is ready to hang on the wall in a glass window frame. * Certificate of handmade work signed and dated. * All portraits are made individually. NOTE: This art works are not laser cut. This is a pretty dangerous thing to cut on a laser. The chlorine is extremely corrosive as well as very toxic and posing a high wealth risk when in contact with heat. Art on vinyl frames available have a button "Add to cart" and are dispatched next day. If not in stock, contact me and I will make one for you. Frame can take one week do be delivered if not in stock. All of our vinyl records and cds are new and sealed. We create Vinyl Art Portraits from Old Records. These are Bespoke, created to your personal specifications. Handmade out of old Vinyl Records, Beautifully framed to hang on your wall. Bespoke Commissions are also available on all Vinyl.